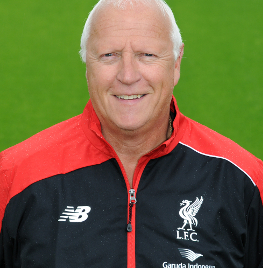 Having played professionally for 17 years and spent a significant period of time in coaching and managerial roles, Dave Moss is well qualified to take up his position as chief scout at the Reds' Academy. Dave's playing career spanned spells with Swindon Town, Luton Town and the Tampa Bay Rowdies in USA before embarking on a period in coaching which saw him work with Oxford United, Manchester City, Huddersfield, Stockport, Chester, Northwich Victoria and Macclesfield - whom he later went on to manage. "We have an extensive scouting network in place at Liverpool and my job is to coordinate the entire operation," he said. "We need to cover all of the UK and Europe to make sure we know where all of the top young players are. "It's a big job and a challenging one but I consider it a privilege to be working for this club and when you see the young lads we have here working hard and improving every day then it really puts a spring in your step and gives you the extra motivation to go and see what other young lads are out there."